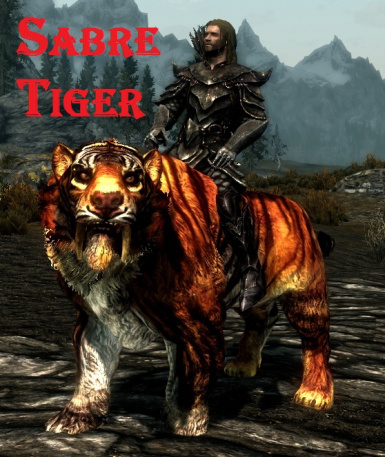 If you have download, two, three...of my mods,you can buy the books ONLY for the LAST mod (at the bottom) in the list ...you must CHOOSE one mod at a time ! 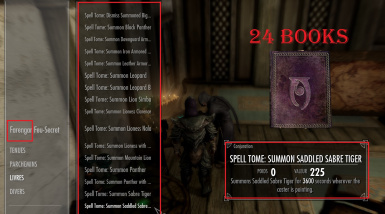 You can have ALL the mounts of my mods, BUT to obtain/buy the books /spells/ mounts of a new downloading mod, YOU MUST PUT this one at the bottom of list when you launch the game, EVERY TIME ! ...And you buy the books IMMEDIATELY before downloading a new mod ! 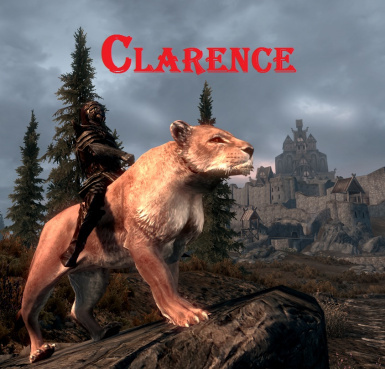 ...ALL my mods are STANDALONE ! 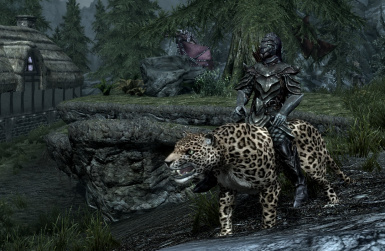 My mounts can only go straight forward. I can't turn them in any direction. 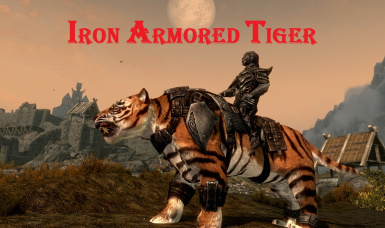 It does this with any mount mod I try. Help? I also have this problem, a fix would be very much appreciated. 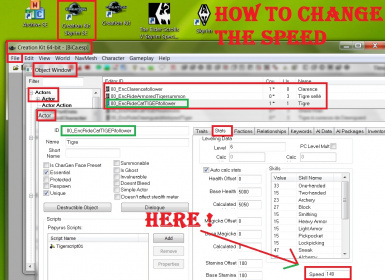 I do not have this problem, but I tried to change some settings ... can you try version 1.6.1 (miscellaneous files) and report the result here? Yes and it is same .. 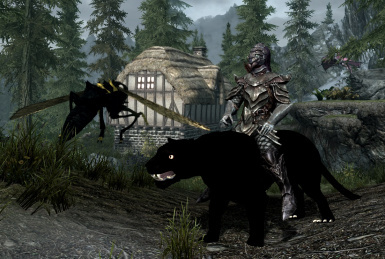 The black panther at the Markarth Stables attacked and killed one of the horses when my character arrived. 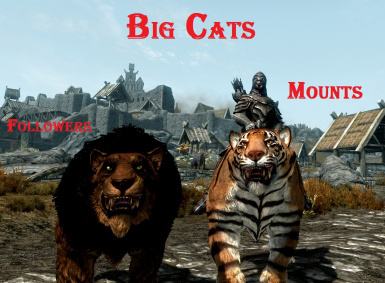 The cats at Riften and Windhelm were well-behaved. 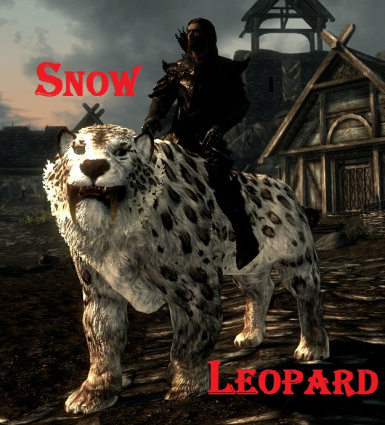 One of my characters is using the "Snowy Leopard". Sometimes, just as we are engaging an enemy, the cat says something like "Your death will be my tribute to Auriel". Is this intentional? 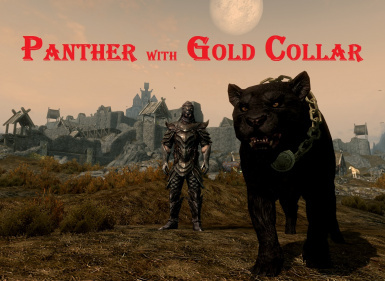 "The black panther at the Markarth Stables attacked and killed one of the horses when my character arrived"
Fixed (i think) with the 1.4.2 version. Can you report the result here ? 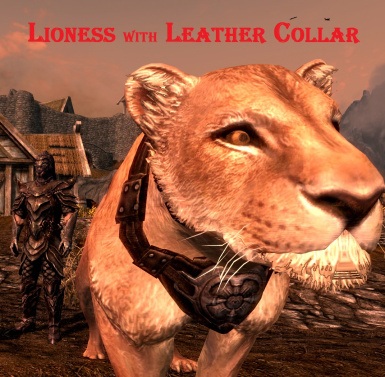 "the cat says something like "Your death will be my tribute to Auriel". Is this intentional?" ????? !! !no, is it my mod ?, or other mod ??? 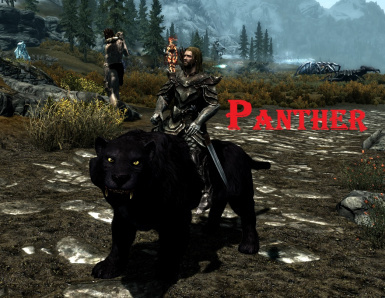 I got the new version and brought a character to the Markarth Stables, but the black panther wasn't there. I looked around but didn't find it. I found another problem. 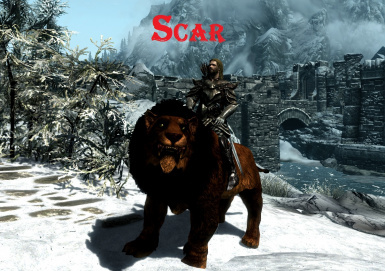 When my character passed by the Whiterun Stables, Scar was fighting with Sofia (follower mod). 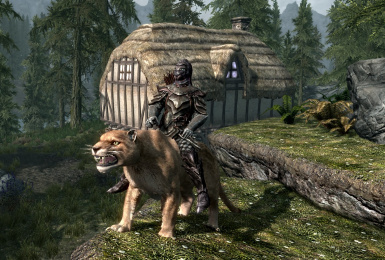 The stables seem to be problematic locations for these aggressive cats. I don't know who started this particular fight, but I'm guessing it was Scar because Sofia has been there a long time and it's the first time I've seen her fighting anything but bandits. Maybe you should put them all in a cave somewhere. 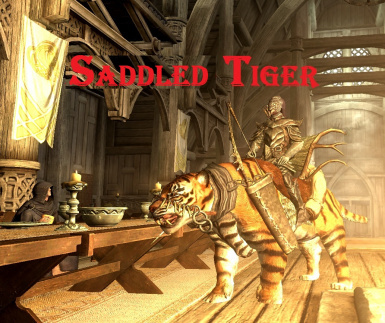 Stables would make more sense if they were mounts, but these are just followers. "Your death will be my tribute to Auriel". Is this intentional?" Aha. 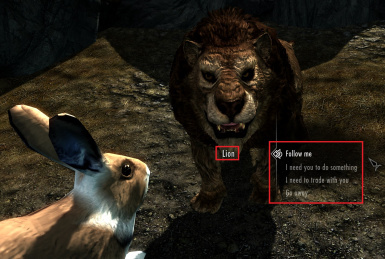 It's more like "Your death will be my gift to A'nui" (close enough), and it's coming from the VIGILANT mod somehow. I don't know how. I'm having this issue right now, too. 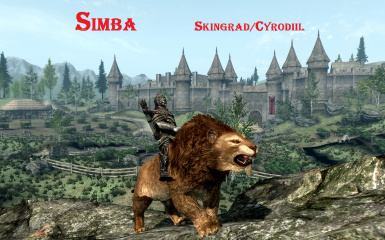 Scar and Simba were at the Whiterun stables when I got there, but they had killed a couple NPC's and horses. Is that supposed to happen? 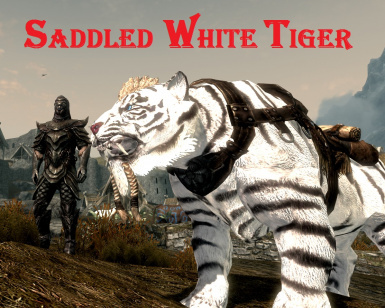 I deactivated the mod with mounts and companions, and just installed the mounts only one as a fix for now and loaded an earlier save. Hope this works in the meantime. 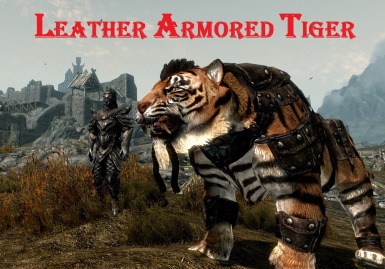 This mod is awesome!!! 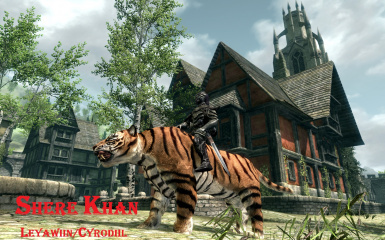 Way prefer riding a tiger to a horse, and the riding animation is excellent. 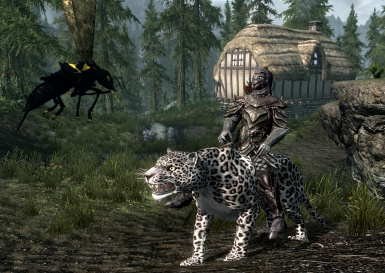 Only small issue is with mounting -- sometimes the mounting animation has my toon mount right next to the cat (in the air, not over the cat), which is a little immersion breaking. He snaps to in a second but is there any way to fix that animation? I figured out a fix. 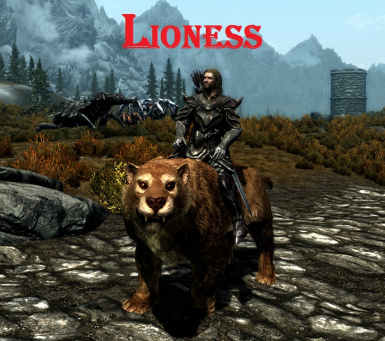 If you only mount in first person directly from the left side (like you would with a horse) the animation works properly. 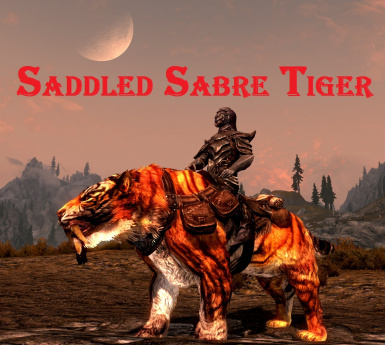 If you try to mount from the right, front or back you get the screwed up animation. 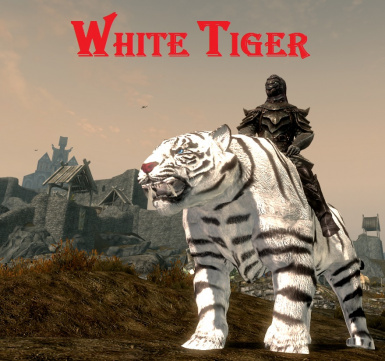 I was hoping we could have a cool one where you jump on the tiger from behind, but a regular mounting animation that's not in vacant space is just fine. Thanks again for the port - I use it constantly and have ditched horses entirely (except for buying them for followers). 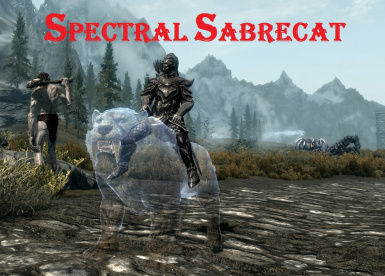 How to fix the weird idle animation for the big cats (Sabre cats animations) for Skyrim Special Edition? I just love this mod! 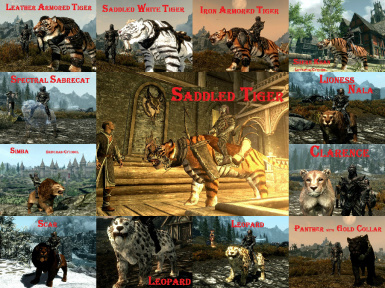 I found Scar and Simba almost immediately, but I confess I want to know if Shere Khan is available as a companion instead of just as a summoned mount? He's my fav of the Disney big cats! If he is, and I just hwaven't found him yet, please please please help me find him? 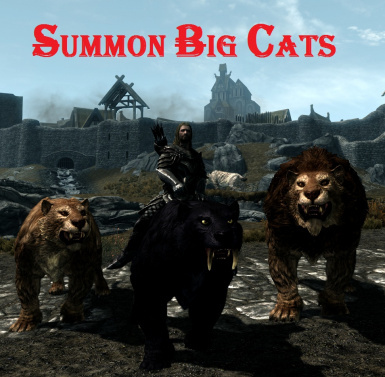 version 1.6: no companions ! 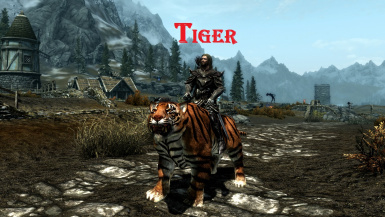 I can't move my tiger left, right or backwards, is it a bug and how do i fix it? 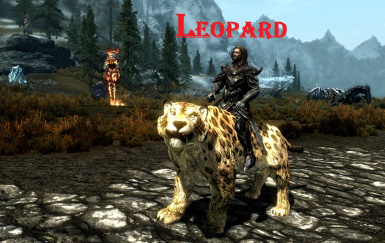 "1) If you have any problem with these mounts, you can try a FAST TRAVEL... "
It would be more than awesome if we had the option to track these beasts down in the wilds and tame them to become mounts. 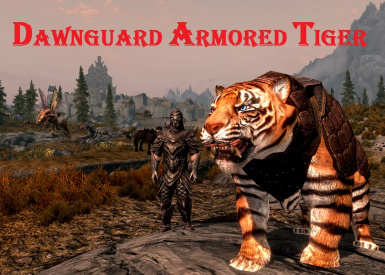 The Dawnguard Armoured one looks epic though.